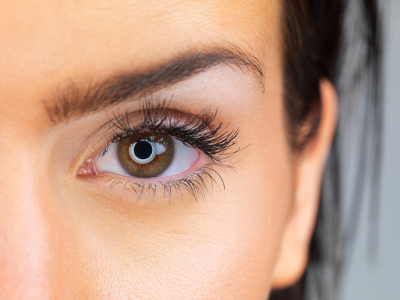 Dark circles and puffy eyes are common problems – find out what you can do to help improve their appearance. A recent study by Adonia Organics has revealed that women with dark circles/puffy eyes are perceived to look up to five years older than they really are. The same study concluded that the under eye area looks significantly darker during colder months. With winter just around the corner, these make for rather concerning statistics; if you suffer from dark circles/puffy eyes – don’t worry, there are ways to improve their appearance. 1. Ensure you get plenty of sleep – an obvious tip, but important nonetheless! 2. Green tea bags soaked in warm water and placed over the eyes can help reduce any swelling. 3. Slices of cucumber and teaspoons from the freezer will help reduce puffiness, be sure to apply an eye cream after using. 4. Massage cooled aloe vera gel around the eyes, this provides a lymphatic massage and acts as an anti-inflammatory. 5. Avoid salty food if you have a big event coming up and use an extra pillow at night to reduce fluid build up. 1. Filorga Eye Recover (£45) is a mask treatment that uses liquorice to target dark circles and swelling. 2. Clinique Even Better Eyes Dark Circle Corrector (£29) has a cooling applicator tip which helps reduce puffiness. 3. Garnier Skin Naturals BB Cream Skin Perfector Eye Roll-On (£9.99) hydrates the area while covering dark circles. If you’re after a more permanent solution, there is a range of treatments available including fillers and laser treatments. Find out more on our dermatology page.